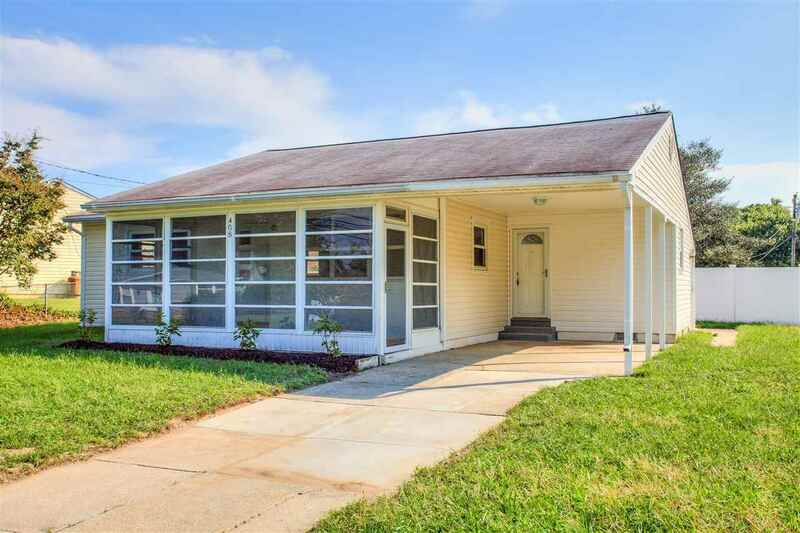 Beautifully remodeled ranch home located on the Bayside and near the beautiful beaches and sunsets along The Delaware Bay shoreline. This home has a completely new eat-in-kitchen with new cabinets and counter-tops, built-in sink and faucets along with tile flooring. The kitchen and dining area has new ceiling fan and recessed lighting. New appliances include electric range and hood along with a new dishwasher. The home has 2 spacious bedrooms with closet space and new ceiling fans. Large living room with new ceiling fan. The front enclosed porch has plenty of room for outdoor entertaining area. There is a completely new full bath with new tile flooring, toilet, sink and vanity along with the tub and shower. The utility room has new tile flooring and there is a utility tub plus hookups. New heat and air conditioning, completely painted inside, new storm doors, all new floor coverings and plenty more. Also has a rear patio area for your BBQ.